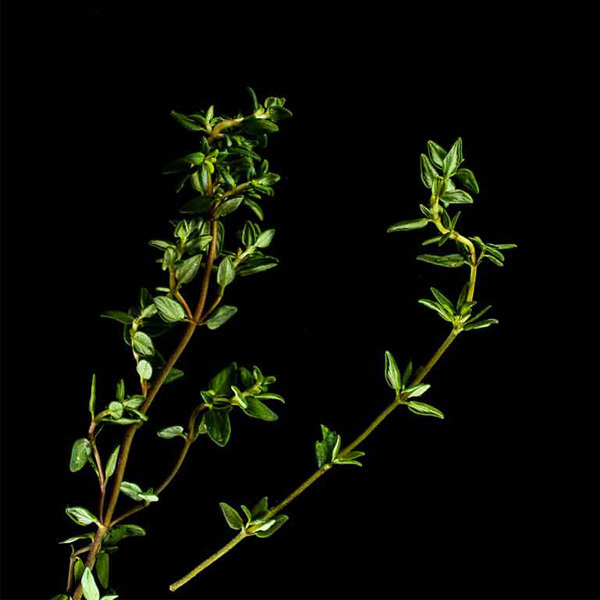 Thyme, an herb of many virtues, has been around for thousands of years. Nowadays it’s used for cooking and as a home remedy, for example as a cough reliever. The Egyptians used thyme for embalming their deceased. The ancient Greeks burned it for the fragrant smoke. This is one of the explanations for the herb’s name: ‘thyo’ is a Greek word and refers to offering rites in temples. 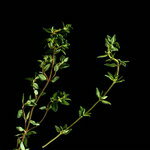 Thyme was also given to medieval soldiers and knights because it was believed to bring courage. Maybe it did, maybe not. But at least these gentlemen must have smelled nicer than their non-thymed counterparts. Thyme is a somewhat modest-looking herb with small matte green leaves, a fresh fragrance and a minty aroma that complements nicely the stronger flavours of many herbs. 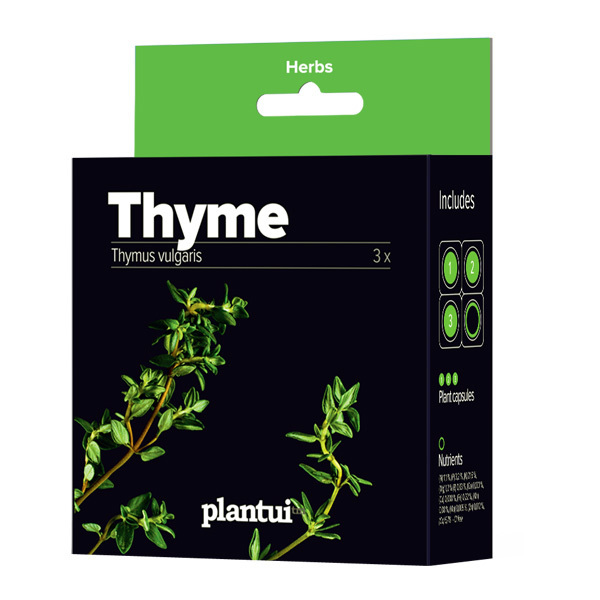 That’s why thyme is an essential part of a ‘bouquet garni’, together with bay leaves and parsley. 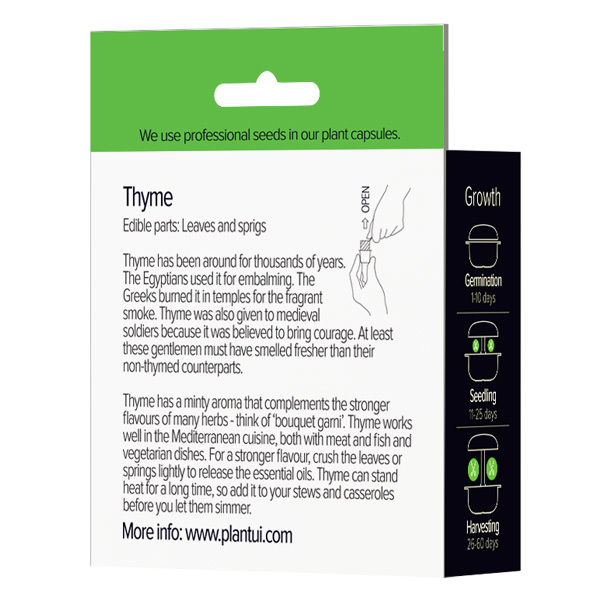 Thyme works well in the Mediterranean cuisine, both with meat and fish and vegetarian dishes. If you want a stronger thyme flavour, crush the leaves or spring lightly to release the essential oils. Thyme can stand the heat for a long time, so you can add it to your stews and casseroles before you let them simmer. One way to use thyme is to fry it on a pan together with butter and garlic, before you add the steaks. Oh, the joy of anticipation!